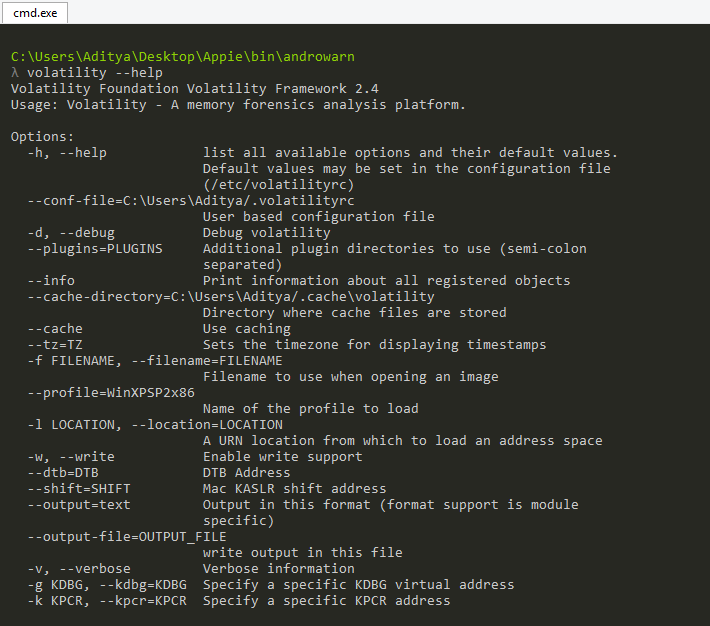 Appie is a software package that has been pre-configured to function as an Android Pentesting Environment on any windows based machine without the need of a Virtual Machine(VM) or dualboot. It is completely portable and can be carried on USB stick or your smartphone. It is one of its kind Android Security Analysis Tool and is a one stop answer for all the tools needed in Android Application Security Assessment, Android Forensics, Android Malware Analysis. Why Appie was created ? Just because i wanted something awesome instead of traditional virtual machines. What Does Appie Mean ? In the search for an awesome name, i found Appie which stands for Android Pentesting Portable Integrated Environment and the most important thing the name define itself. Open the installer file and then complete installation process. I have also started a series on Android Application Security for the ones who wants to learn about android application security. In that series i have used Appie extensively. Apktool can be used by the keyword apktool. 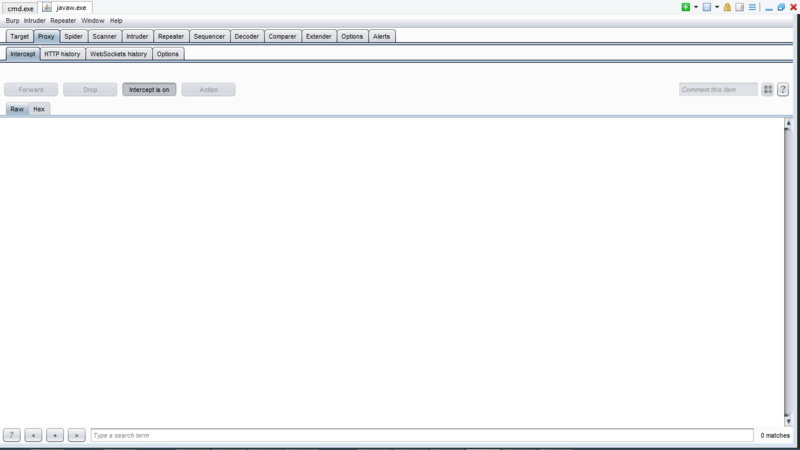 Type androwarn in the console to open androwarn directory and then see usage for it’s usage. There are several files in androguard project. You can look about their individual usage on their website. For example, if you wanted to use androgui then just type androgui on the terminal. To open atom, type atom in the terminal and it will open Atom text editor in other half of the terminal. It has been customized like this to have a better experience while testing. No hassle of Tabs/Windows. Type bytecodeviewer to open ByteCodeViewer. Type burpuite in the Appie console to open up BurpSuite. Type in drozer console connect and drozer application will load up in the right half. eclipse can be used to launch Eclipse IDE for Android Application Development. use firefox to open up Mozilla Firefox. Type jdgui in the console and a new tab will open with JD-GUI in it . Type jadx to use jadx. 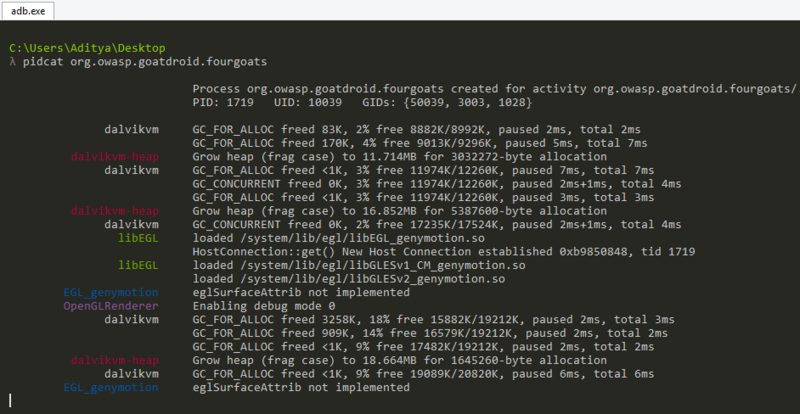 In order view logcat entries for org.owasp.goatdroid.fourgoats, type pidcat org.owasp.goatdroid.fourgoats in Appie and you would see something similar. Use sqlitebrowser to open SQLite Database Browser. Type sqlmap to use SQLmap. Type volatility in the console to use this. 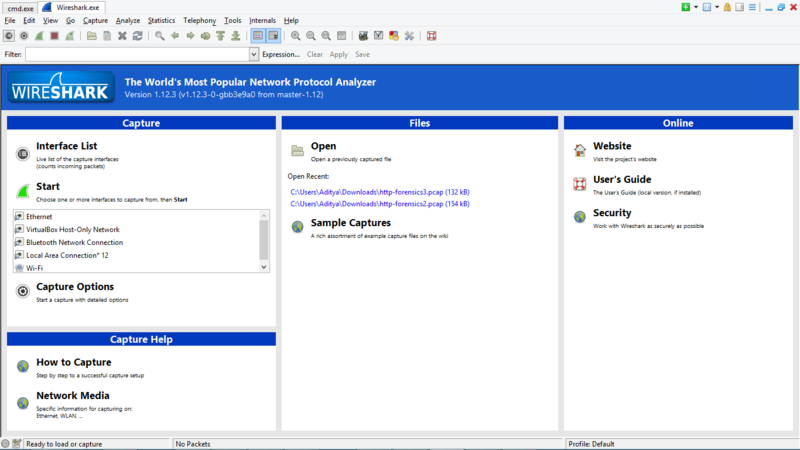 Type wireshark in Appie console to open wireshark within Appie. Q. When it will be available for Linux/Mac? Currently this is only available for windows but yes i am figuring out something for Linux/Mac as well. But for now you can run Appie on Win7/Win8 Virtual machine. Appie doesn’t need any software pre-installed on the machine, it contain all the environments like Java Runtime Environment, Python Environment neccessary for it’s running. Q. I am interested in Android Security and willing to learn it. Do you know any resources where i could start ? Q. How can i work in FullScreen in Appie ? Just press Alt + Enter while using Appie to go in FullScreen Mode and do the same to come back in normal mode. Q. How could i resize Appie ? If you move your cursor along it edges then outer boundary start appearing and you can resize using it but this procedure is something everyone is not able to follow. Right click on the top bar and then click on settings. 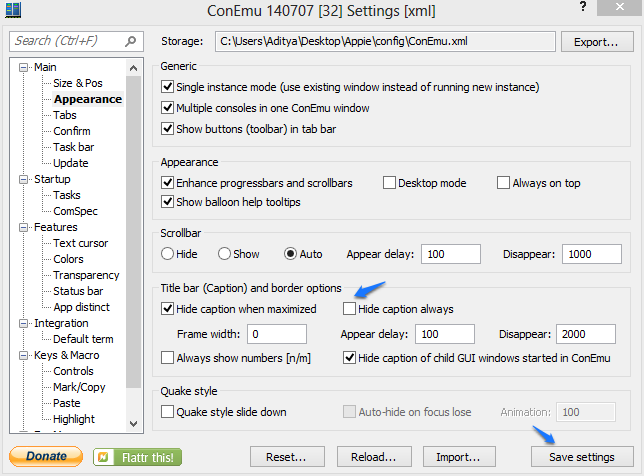 Then a new window will appear then uncheck “Hide caption Always” and then save settings as given below. Then Appie would look something like this. You can now resize the window as you would like. After that you can again go to setting and check that option again and save settings. Appie will save your current windows size and will open as it is when you open next time. Q. Why is Appie throwing up red flags with being malware? Actually Appie is packed by UPX which is identified as malware by some antivirus softwares. You can scan Appie.exe with virtustotal.com and see the result. As an alternative there is a Appie.bat file in the same directory which upon running won’t show any warnings. Q. ADB is not running properly. Actually in order to run adb with your emualtor, you need to set the path of Android SDK Tools in your emulator. If you are using Genymotion Device as your emulator then follow the procedure below. First go to Genymotion then click on settings. Below is short demonstration video of Appie. Follow Appie on Facebook and Twitter for updates about Appie and Android Security. Your feedback is really important to me, without feedback of community Appie would have not existed. If you have any suggestion for tool, feature, or something which would make Appie more awesome, then please fill out the form below. What they are saying ? Appie has received awesome response which is something i never expected. See how is Appie being talked about on Internet. ESET one of the famous antivirus providers has written an article about “Analyzing Mailcious Apps with Appie“.